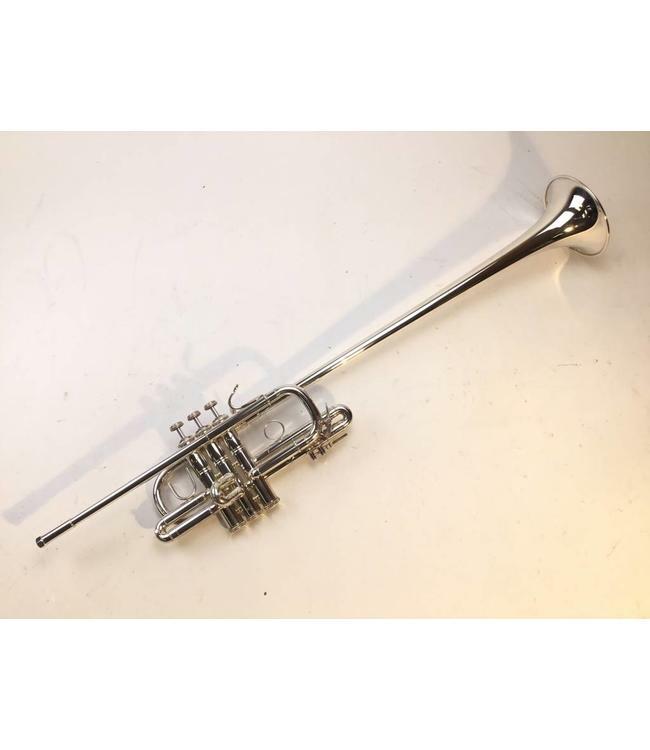 Used Bach Stradivarius model 185, ML bore (.459"), Bb Herald Trumpet in silver plate. Instrument is in good condition with surface scratching and has a 37 bell. Includes original case.